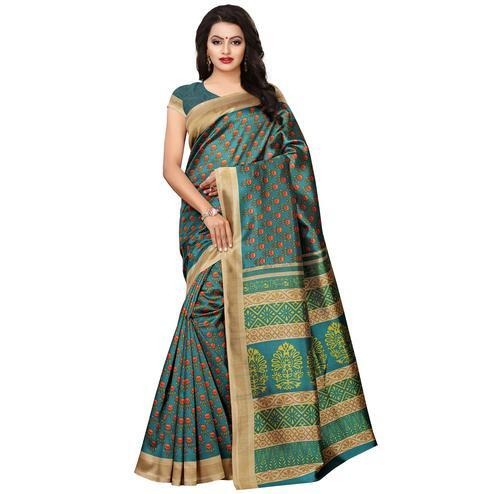 This green colored saree made out of bhagalpuri silk fabric has got attractive floral and paisley design prints which is sure to attract you lots of compliments. 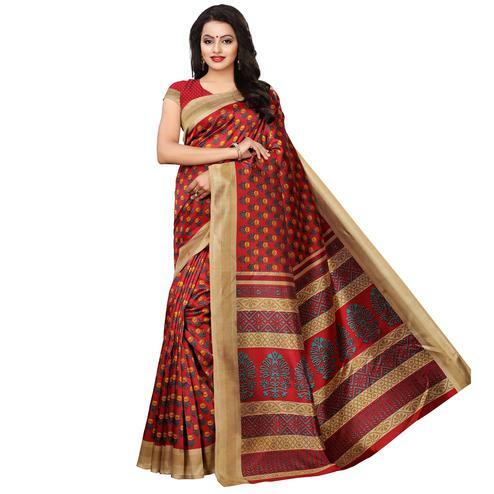 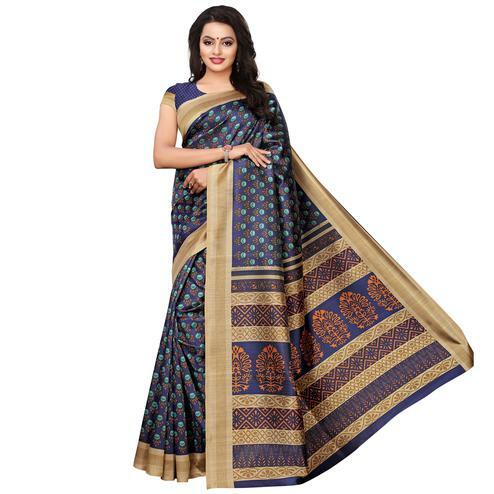 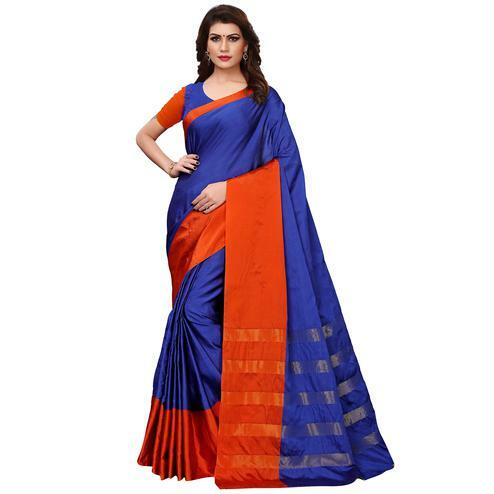 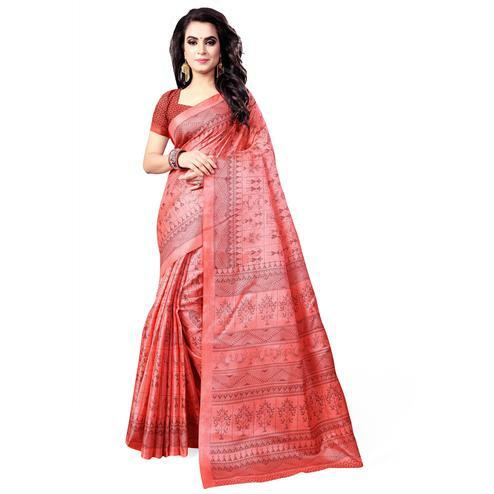 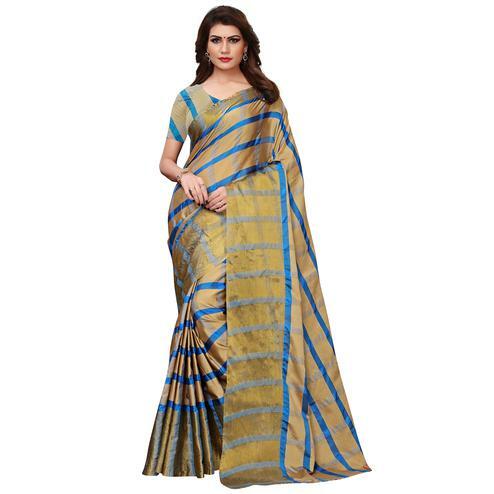 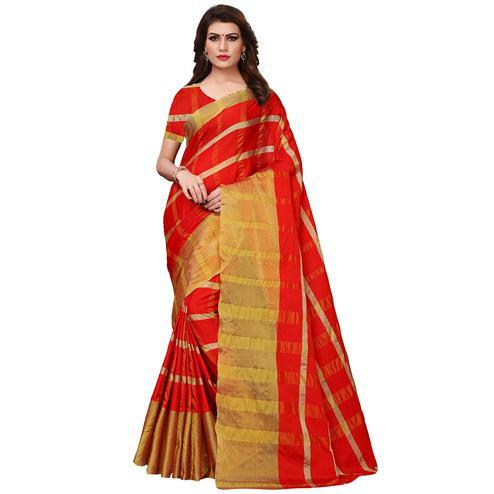 Saree comes along with unstitched bhagalpuri silk fabric blouse piece. 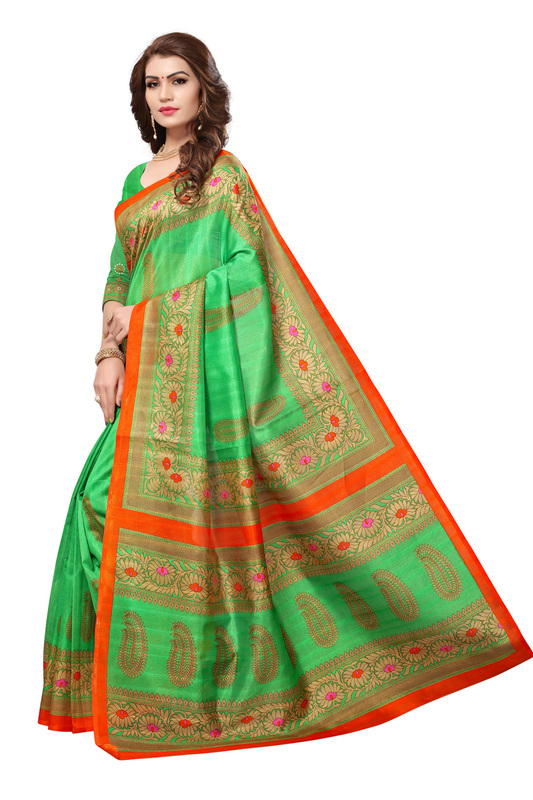 You can wear this saree for office, casual outing, kitty parties and social get together & homely events . 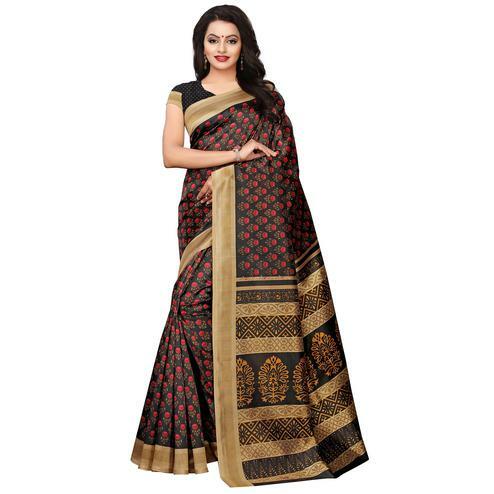 It is soft and comfortable to wear and will thus, become your favorite in time.